Maryland is a state of abundant waterways, coastlines and the Atlantic Ocean, and is in close proximity to the hub of many federal services. The state offers many historic landmarks, renowned colleges and universities and is the home of the Baltimore Ravens National Football League. Residents of the state often make the commute to Washington D.C. for their jobs and reside in Maryland due to the lower cost of housing. As with many other states, Maryland is also experiencing a growing real estate market where housing inventories are low and sales are high, and home buyers must make quick decisions when deciding on the house they want to purchase. 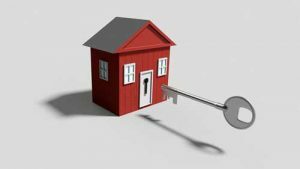 As a condition of most real estate purchases, the home buyers must have a letter of pre-qualification from a lender to ensure that they most likely can qualify for a mortgage loan to complete the purchase transaction. To obtain a pre-qualification letter, a home buyer can turn to a mortgage lender or mortgage broker. Mortgage lenders make loans directly to a buyer where as a mortgage broker works with many lenders. The state of Maryland requires all mortgage lenders and mortgage brokers to be licensed to offer mortgage related services for compensation. In order to obtain a Maryland mortgage lender or mortgage broker license, they must first provide evidence of a sufficient business net worth. The minimum net worth requirement is $25,000 if the business offers broker and/or services only. A minimum net worth of $25,000 is required for lender services in which a loan is secured by residential real property. The net worth increases to a maximum of $250,000 based on the volume of loans in the previous 12 months. Mortgage lenders and mortgage brokers must secure a surety bond that is also based on the volume of loans from the previous 12 months. The minimum surety bond requirement is $50,000 and covers total annual loan volumes up to $3,000,000. If the total loan volume goes over $3,000,000 but is less than $10,000,000, a $100,000 surety bond is required. For total loan volumes exceeding $10,000,000, the surety bond requirement is increased to $150,000. Maryland mortgage lenders and brokers play a significant role in the home purchasing process. SuretyGroup.com has the bond that is needed to meet the license requirement. We offer free, no-obligation quotes, low rates and fast service. Email info@suretygroup.com, apply online or call us today at 1‑844‑432‑6637!